Great Reasons to Shop with us! 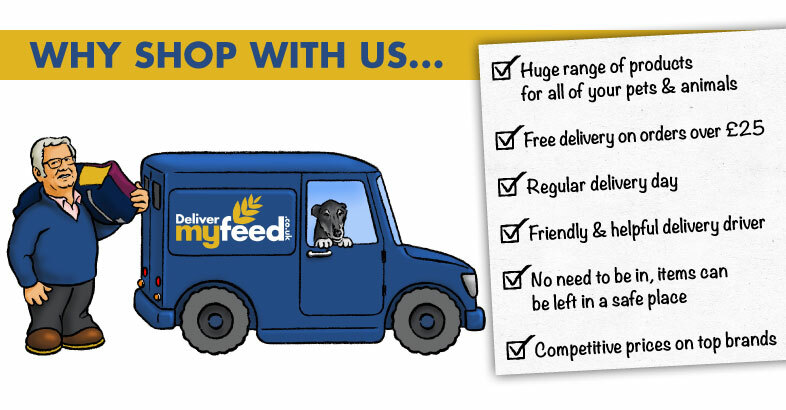 Broadfeed- Animal & Pet Superstore, Offering Free Delivery to Wadhurst, Specialising in Food, Supplies & Accessories For Dogs, Cats, Birds, Horses & More. 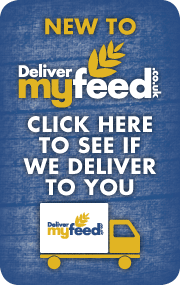 The Broadfeed free local delivery service on orders over £25 covers Wadhurst and the surrounding area. 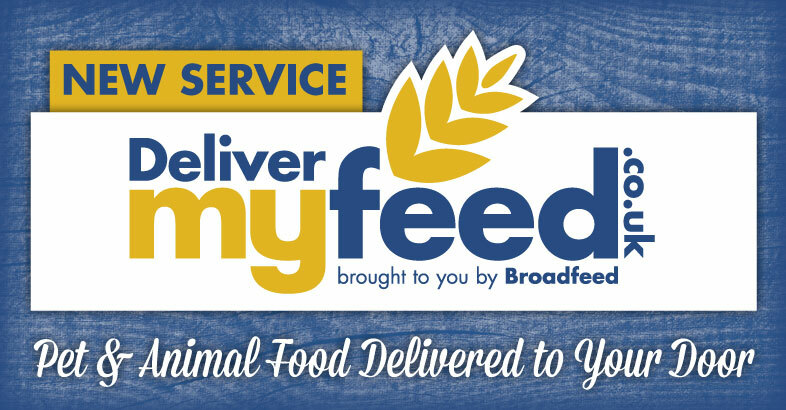 A convenient and efficient service, delivermyfeed has been designed by Broadfeed to ensure all your favourite pet food and supplies are delivered straight to your door. We sell an ever-increasing range of pet products here at Broadfeed, and we are always on the look out for new items to add to our shelves and online store. Our dog and cat departments have recently undergone a huge overhaul and now include an even wider range of the latest bowls, beds, collars and leads from the likes of Rok, Danish Design and Rogz. Our small animal range is a favourite with our customers, with products for Rabbits, Guinea Pigs, Rats, Chinchillas and even Degus- to name just a few! Our small animal food from the likes of Burgess and Allen and Page as well as our bedding is available in a variety of convenient sizes, whilst our toys and treats will keep your small animals occupied for hours! The Broadfeed Saddlery is abundant in products from top brands including Shires and Toggi, with items including tack, rugs and grooming products to jodhpurs, jackets and footwear for the rider. Our extensive warehouse, bursting with products from the biggest brands ensure our status as a one-stop shop for horse and rider. As well as stocking the traditional manufacturers such as Dodson and Horrell, Allen and Page, Baileys, Spillers and Saracen, we increasingly stock top quality Equine nutrition products from the newest manufacturers including Thunderbrook Horse Feeds and Herbal Supplements and Keyflow Feeds. We also supply Haylage, Grass Nuts and Dried Grass from the likes of Baillie and HorseHage. Our Wild Bird and Caged Bird food and accessories are popular throughout the year. Our products include Standard Wild Bird Seed, Peanuts, Fruity Songster and Garden Gourmet as well as a range of top quality food for caged birds, from Verse-Laga for pigeons to foreign finch, budgie seed and Deluxe Parrot food. Alongside our food, we also stock variety of bird accessories, including feeders, bird sand and treats. The Broadfeed Poultry and Smallholder department is bursting with essential products for stock keepers- from those with a couple of chickens to farmers with a couple of hundred sheep! So whether you need a drinker for your ducks, coarse mix for your cows, fertiliser for your fields or foot shears for your sheep, we've got it covered! All of our products are available for delivery, with a quick and efficient ordering service online, over the phone or in-store.